Why go to the National dog show? Well, where can you find over 5,000 of the most beautiful, talented dogs in the world, from all 50 states and over 44 countries in one building? In Orlando in December of course! Every year, the Orange County Convention Center is home to one of the most amazing dog events. The American Kennel Club’s National Championship Dog Show and Invitational. If you are new to the dog world, or are quite simply just a dog lover, then you owe it to yourself to go to the show. It will blow your mind! I attend every year, and it is so huge I still get lost walking around almost every time I go. Maybe I get lost because I am in a dog lover’s sensory overload, but I definitely don’t mind. It is like heaven on earth to me. Conformation Breed & Group Judging- before Westminster, the best of the best come here! Classes for every one of the 190 recognized breeds strut their stuff to become top dog! AKC Meet the Breeds- be able to get up close and personal with any dog breed you want! Every breed has a table set up where you can get info, pet, take pictures, whatever, with your favorite breeds! I am very honored to have been asked to come and help judge trick dog titles for the American Kennel Club at this amazing show. This is the 1st year the Trick Titles will be debuted at this show and I can’t believe they asked me to be such a huge part of this, sure to be, fantastic weekend. I always have so much fun meeting up with fellow dog trainers, competitors and enthusiasts at this event that I never get to see because they live so far away. Look forward to lots of pictures and I am going to try and do some videos and LIVE feeds during the show when we are there so you can all get in on the fun! I hope you all will come and watch and support these wonderful dogs. Anybody can attend, however the puppers have to stay at home. This is the big leagues and the only dog’s allowed are by invitation only. Tickets are only $10 and they are on sale now through AKC’s website. I can’t wait for all the fun in December! 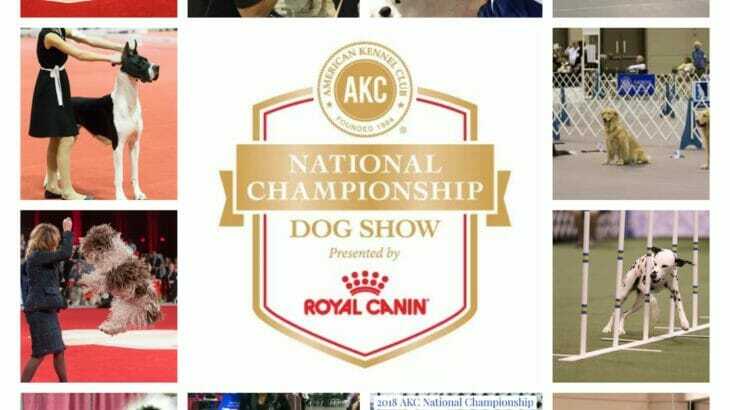 News & Events agility invitational, akc, american kennel club, conformation, dog show, national championship, orange county convention center, royal canin, trick judge, trick titles. permalink.